Switching to veal production and installing a milk vending machine has helped one Somerset family boost their dairy farm’s income, as Aly Balsom finds out. When Josh Hares returned home in 2014 after time working away from the farm, he was keen to carve out a niche for himself in the dairy business and work with his family to make more of what they produced on-farm. In the two years which followed he identified two new income streams which would add value to the business and help the family take back control in a challenging market environment. By producing veal they have been able to tap into an emerging market and make dairy-bred beef calves a profitable enterprise. At the same time, installing a milk vending machine on-farm has proved a profitable and increasingly popular move. 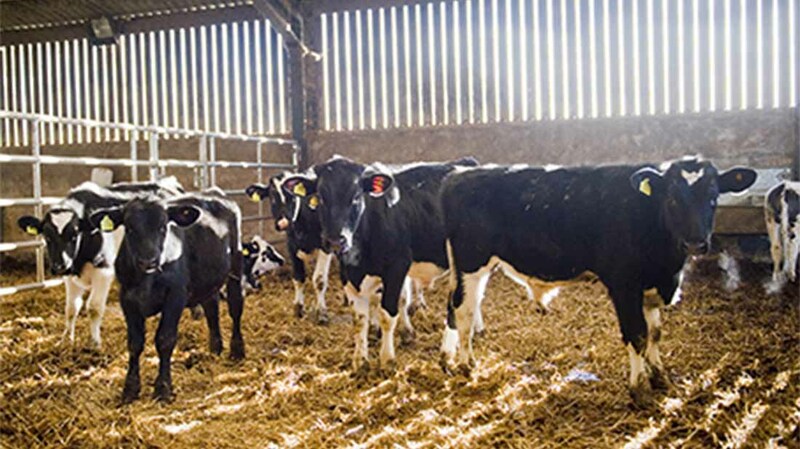 When Mr Hares rejoined the farm in East Horrington, near the city of Wells, finding a way to better manage dairy-bred beef calves was high on the agenda following a period of six years shut down with TB. A pasteuriser was purchased to reduce the risk of their raw milk sales being banned due to TB incidence. Keen to avoid shooting bull calves and find a more profitable route to market, Mr Hares contacted Tarrant Valley Livestock, which produces dairy-bred veal under the Brookfield Farm brand. At the time, the company was looking for year round calving dairy herds to supply calves younger than eight months for veal production. The fact calves went straight to slaughter at a young age proved the perfect solution for the Hares as it worked with TB restrictions and reduced stocking densities. The pricing structure available also meant they would receive a strong price for non-castrated, horned dairy-bred calves. “For the last group of five we sent we averaged £3.08/kg, including bonuses,” says Mr Hares, who runs the 200-head Holstein Friesian herd with his mother Judith and brother, Jacob. The base price is calculated as the R4L market price from 2 Sisters, St Merryn, minus 60p/kg. Bonuses are then available, depending on weight banding. For example, Mr Hares receives a 25p/kg premium plus a 5p/kg bonus for animals of 145kg or more and a 20p/kg premium, plus a 5p/kg bonus for animals from 125-145kg. 120kg is the minimum weight. The fact calves are on-farm for a set period of time means the family can better track costs and profits. Calves are now selling for about £400-£500 a head, with costs at about £320 a head, including labour and transport. “Where before we were potentially making no money, we now make about £100/head. We are pleased with this,” says Mr Hares. Investment to get the operation up and running has also been minimal. The family spent about £4,000 installing additional pens, troughs and straw racks to fulfil Freedom Food requirements. 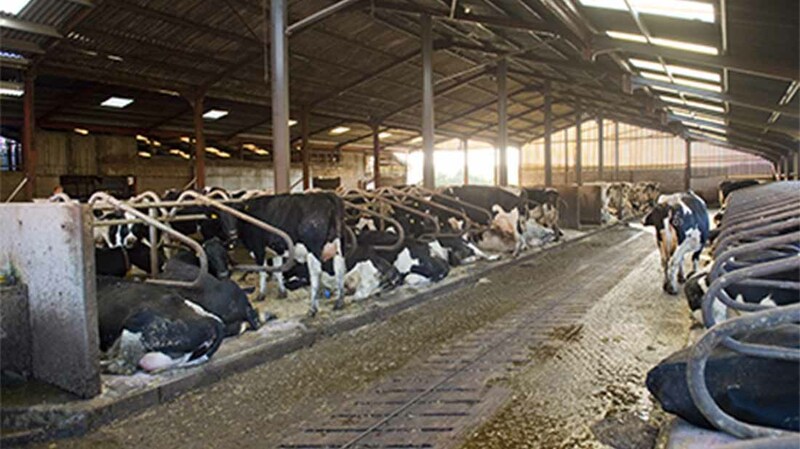 There are also plans to put up an additional purpose-built calf shed. The fact calves are forward booked onto a slaughter date by Tarrant Valley means everything has to be in place to ensure growth rates are maintained and animals are ready within eight months. Mr Hares believes this focus has helped calf rearing as a whole. “It has made us focus on everything so it has benefited heifers as well, which will help us hit a target age at first calving of 24 months. We are averaging 25 months at the moment,” he explains. 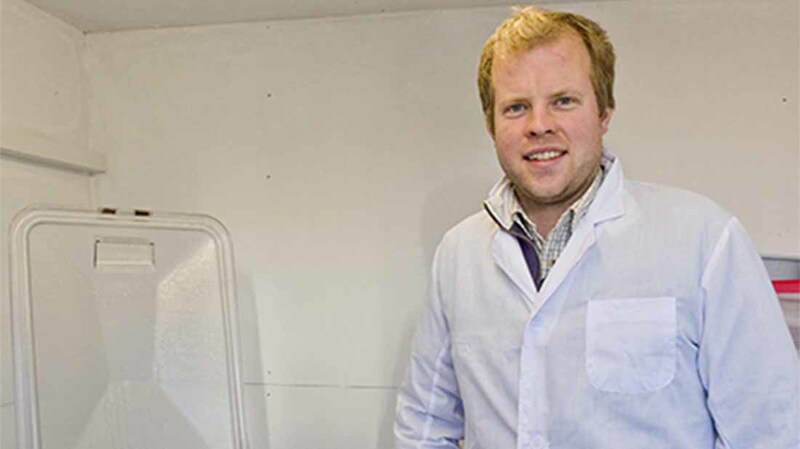 To better track growth rates, the farm has also enrolled on a youngstock scheme with their vet. As part of this, all calves are weighed up to 100 days old. This shows they are generally achieving target growth rates of 800g/day, which Mr Hares puts down to good colostrum management and feeding a quality concentrate (see panel). The installation of the milk vending machine at the end of the farm drive has been a more recent development in the family’s mission to add value. As an Arla member, most of their milk has been sold at a loss in recent months, understandably impacting on morale. Having looked at various options at the start of the year, they decided to look at installing a milk vending machine to make the most of their location on a busy road in East Horrington, close to the city of Wells. In August, Mr Hares bought a second-hand vending machine with bottle dispenser. Then he set about getting the appropriate documentation from the Foods Standards Agency – though he admits this was probably the wrong way round. “Buying the machine was the easy part. You need permission from Environmental Health at the local council. It took two months to get the paperwork signed off,” he says. The vending machine cost £6,500. A shipping container was also bought and converted to handle and pasteurise the milk at a cost of about £4,000. Another £4,000 was spent on a second-hand 35-litre pasteuriser. Due to the TB issues, they chose to invest in a pasteuriser to reduce the risk of being banned from selling raw milk should they be shut down with the disease. Having opened the milk hut on October 22, demand quickly outstripped supply, with the family having to invest in a new 110-litre pasteuriser within two weeks. 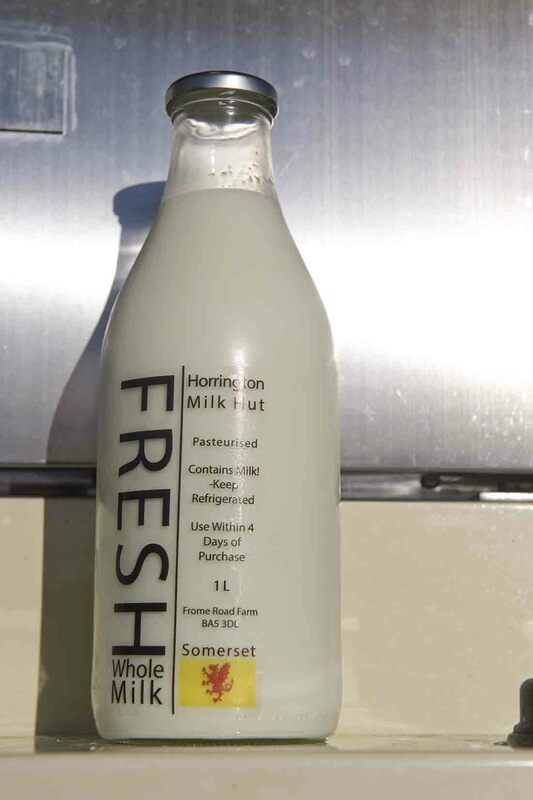 Customers pay £1 for a reusable milk bottle and £1 per litre, serving themselves at the vending machine. All milk is less than 24 hours old. The farm produces milk for 24ppl. The additional costs of pasteurisation and labour means the total cost is about 45ppl. Bottles cost about 50ppl, taking into account buying, labeling and sanitising. All in all, this leaves a healthy margin, though Mr Hares admits it is difficult to know if they are surfing the crest of a wave. “The milk from the hut will more than pay for a man’s wage, so it is making a difference. Assuming we still sell 80-90 litres a day, which may be the norm, it will definitely be worth it,” he says. Overall Mr Hares believes the milk hut has helped add income and improve customer engagement. “It was driven by low milk price, but it is satisfying turning a situation where you are not making money into a situation where you are. “It is really positive to do something new and to get enthusiastic about something,” he explains.